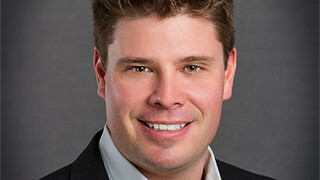 Brennon Marsh is a highly qualified Real Estate Agent with 17 years of experience in Commercial and Industrial Lending. Bringing his experience to Claire Sinclair Properties has resulted in a full partnership where he provides a highly qualified experience to all of his clients. He currently manages an inventory of over $21MM in Real Estate listed in Harris & Chambers Counties and manages lease space for several multi­tenant commercial office buildings. His primary centers of influence are in Baytown and surrounding areas with numerous relationships in Highlands, Crosby, Deer Park, Pasadena, La Porte, Channelview and Chambers County. His recent lending activity includes relationships in the West University, Heights and Oak Forest sub­markets. Brennon is currently a member and Board Director for the Baytown Chamber of Commerce and a Blue Badge Member of the Baytown Rotary Club where he serves as Cooking Team Captain. He also serves on the Citizens Bond Advisory Committee for The Goose Creek Consolidated I.S.D.